I studied art in school and briefly in college before switching gears to get a degree in Graphic Design. I absolutely love design, but my heart is called to paint. I am a self-taught watercolor artist and oil painter. Painting since childhood, I’ve always loved to capture the beauty of nature. With the birth of my son, I have been discovering new facets of my talent. I Previously worked primarily with oils, but my new life as a mother makes working with the medium difficult. Over the past year and a half I have been incorporating watercolors, acrylics and pens into a new energetic style. Through these three mediums I found a way to represent wildflowers through splashes of loose color and fine detail. I am excited to cultivate and grow my new body of work. I want to capture the feeling of pure happiness when sitting among the flowers, hearing the hum of a bee, the sun on your face and the breeze in your hair. Woodland animals such as foxes, birds, bears and deer, common themes in my past work, are sure to make a reappearance. 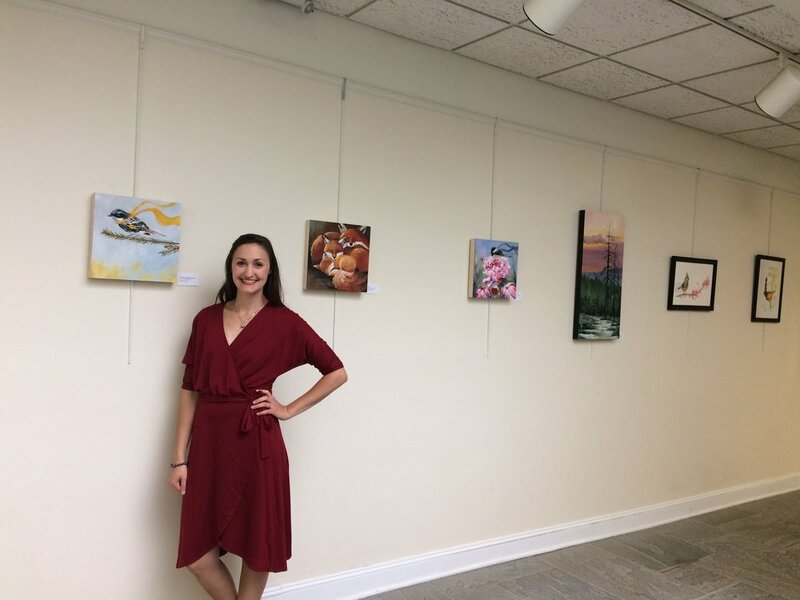 My work has most recently been exhibited at Frelinghuysen Arboretum, in Morristown, NJ for both a solo and group show.